The library was BiblioWorks’ first collaborative project with Across the Globe Children’s Foundation, a nonprofit that supports children and families in impoverished regions around the world. 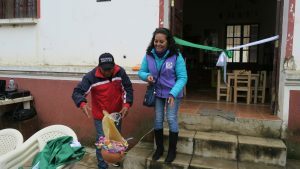 The organization was able to help cover the entirety of the costs for not only setting up the library, but also helping to get it furnished and filled with books galore. We could not be more appreciative of their generosity and support! The official inauguration was held on June 20th, with a turnout of over 200 people! Children from 6 different schools were amongst the crowd, as well as 15 prominent members of the community. The ceremony also included four speakers, two being the President of the Municipality and the Director of Education of Padilla. The ceremony was completed with the traditional Chicha vase throwing, in which a vase filled with a typical Bolivian alcohol is tossed to the ground in an effort to bring about success and fortune. 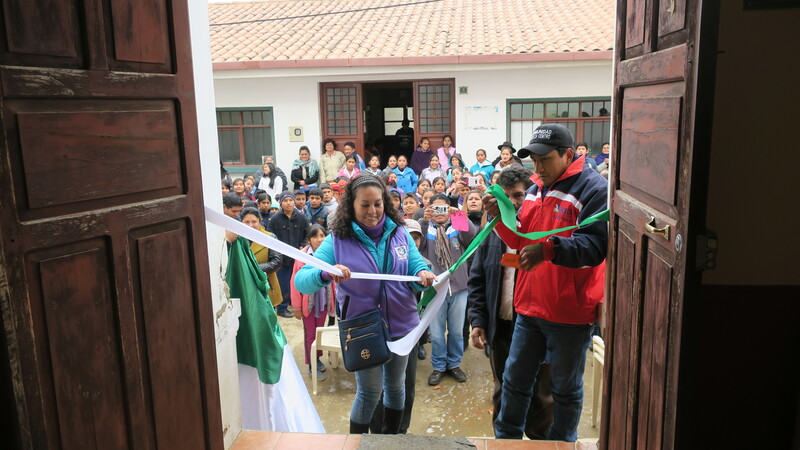 The opening was an overall huge success, and we could not be more proud of our team in Bolivia for their hardwork and dedication to getting it set up. A big THANK YOU as well to all of our volunteers and anyone else who helped along the way either by donating their time or money, or supporting our cause in other ways! Stay tuned as we embark on our next project!